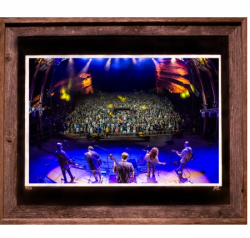 This image is three of three in the first edition of the Old Barns Collection by Greensky Bluegrass. 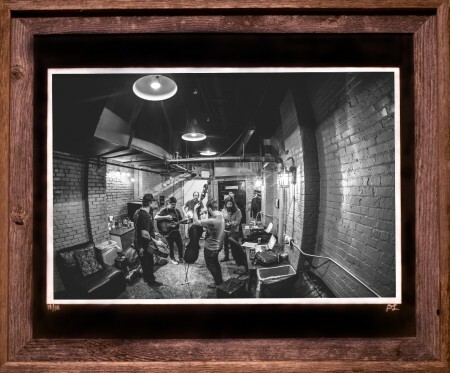 The image depicts a a backstage view of Greensky Bluegrass warming up before performing the first of a three night sold out run at the Ogden Theatre in Denver, Colo. in 2015. The 16” x 24” edition will be numbered in an edition of 10. 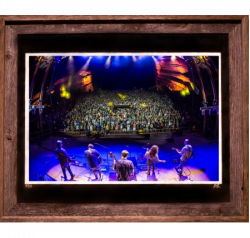 Each photo is hand matted in an archival double mat and framed in hand built repurposed barn wood frames. Each limited edition print is accompanied by a Certificate of Authenticity, Signed and Numbered by photographer Dylan Langille. 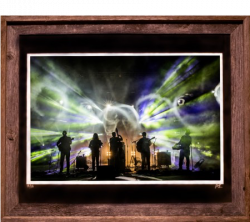 These are extremely limited fine art pieces that are museum and gallery quality giving the owner a special piece of Greensky history to be cherished for years to come. 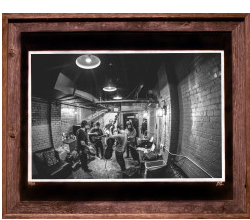 Photographer Dylan Langille took extreme attention in the printing, matting and framing process to ensure that each work of art will be a lasting valuable for generations.